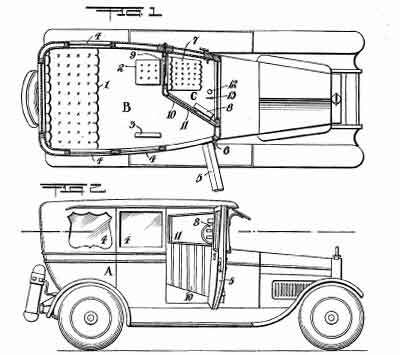 The firm’s general manager and body engineer was SAE member Alfred P. Smith (aka Alfred C. Smith) who applied for 2 automobile body patents, one for a taxicab body, during the late 1920s in association with Samuel Eichel. Harvard operated out of a small shop located at 3554 3rd Avenue in the Bronx. The firm’s alternate 1243-5 Fulton Avenue address denotes the same plot and was likely its rear entrance. The firm was located between two Bronx breweries, the John Eichler Brewing Co. and David Mayer Brewing Co., and likely constructed commercial bodies for both firms, which for many years operated a fleet of electric delivery trucks. 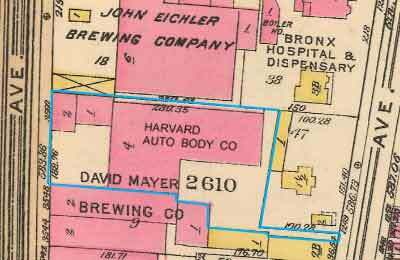 Harvard was located between E. 168th & E. 169th Sts., one block due east of the Bronx Lebanon Hospital, which subsequently acquired both breweries’ property for use as a parking lot. 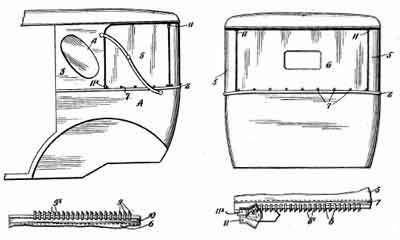 “For failures to give notice in lead poisoning cases occurring prior to 1928, see Macin v. Harvard Auto Body Co., 231 App. Div. 775. This Bronx firm was unrelated to the Harvard Auto Body Corp., a 1950s-1960s Allston Massachusetts (Boston) Body Shop.